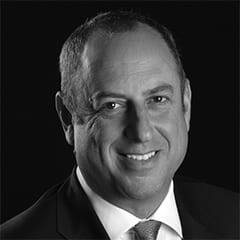 Mr. Zeff founded Carmel Partners, Inc. (“Carmel Partners’) in 1996 and currently serves as its Chief Executive Officer. Mr. Zeff is responsible for all aspects of the business including development and acquisitions, construction, financing, management and capital formation. He is Chairman of Carmel Partners’ Investment and Executive Committees. Carmel Partners is a real estate development and investment management firm based in San Francisco and specializes in the acquisition and renovation of multi-family properties in high barrier to entry markets. The company has regional offices located in Los Angeles, Denver, Seattle, New York City and Washington, D.C. with over 200 employees. Throughout its history, Carmel Partners has successfully executed on over $11 billion in multifamily investments. Prior to forming Carmel Partners, Mr. Zeff was a partner with Trammell Crow Residential in San Francisco. He is a member of the Executive Committee of the National Multi Housing Council, is on the Board of Trustees for the California Academy of Sciences, is a member of the Stanford Graduate School of Business Advisory Council and holds a bachelor’s degree from the University of California at Berkeley and an M.B.A from the Stanford Graduate School of Business. He also has received numerous philanthropic and industry awards throughout his career, including the City of Hope, Spirit of Life Award in 2015.